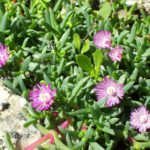 Ruschia lineolata is a dense, mat-forming, evergreen, succulent plant that grows up to 2 inches (5 cm) tall and spreads up to 2 feet (60 cm) wide, with thin red stems, bearing small, up to 0.5 inch (1.3 cm) long, green, narrow, 3-angled, succulent leaves. 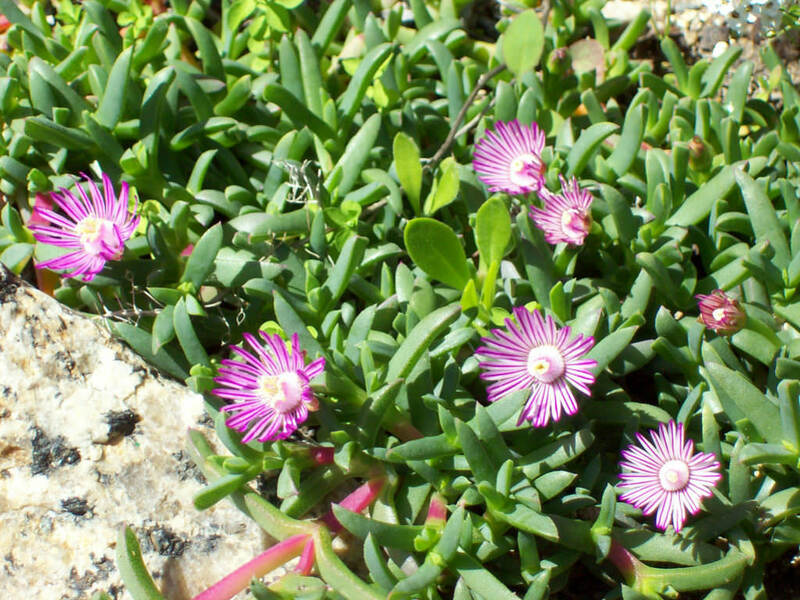 These leaves are held in opposite pairs, perpendicular to the previous pair in a neat crisscross manner, with new leaves emerging like small, pursed lips. 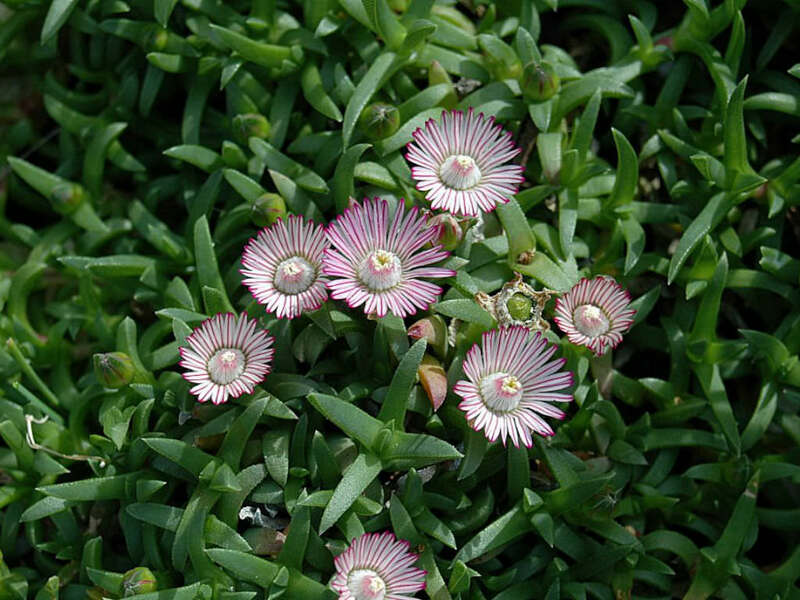 In early spring appear in mass up to 1 inch (2.5 cm) wide, white flowers, that have a distinct magenta-pink midstripe. 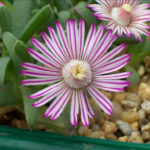 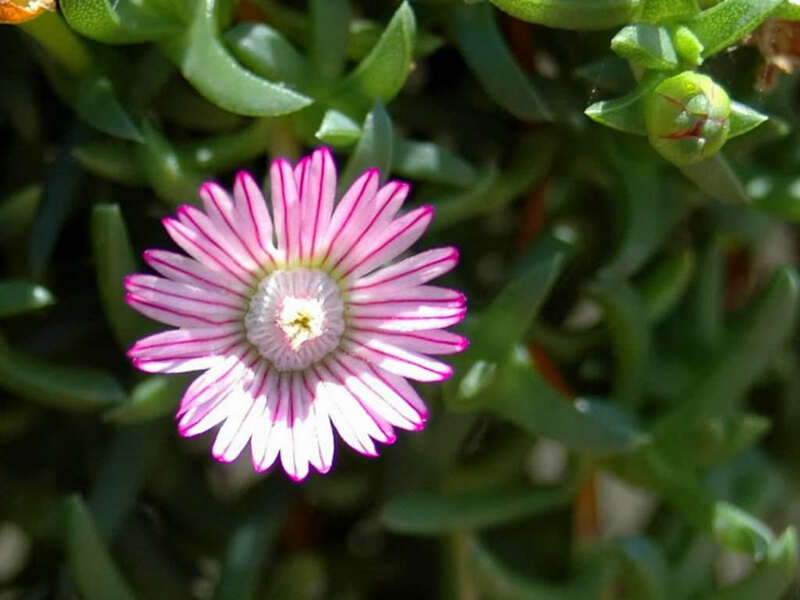 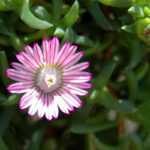 From a distance the flowers appear pink but on close inspection are attractively candy-striped. 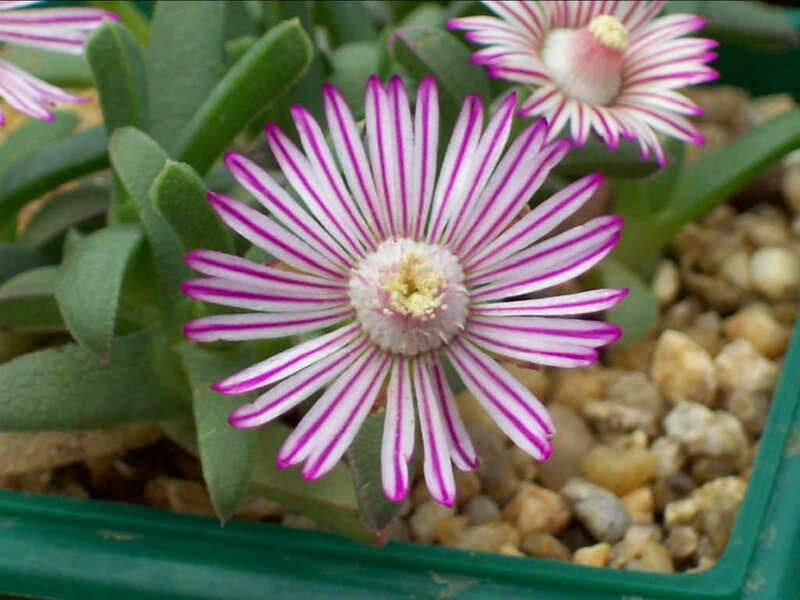 There can also be a second lighter flowering in fall.